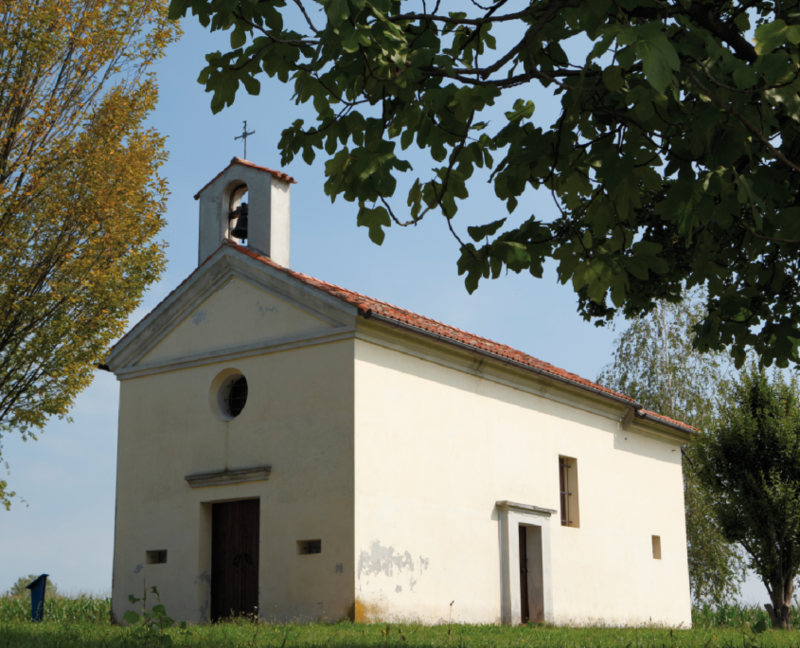 Beginning from the VII century, there have been fifty five Benedictine monasteries in the dioceses of Ceneda and Treviso. 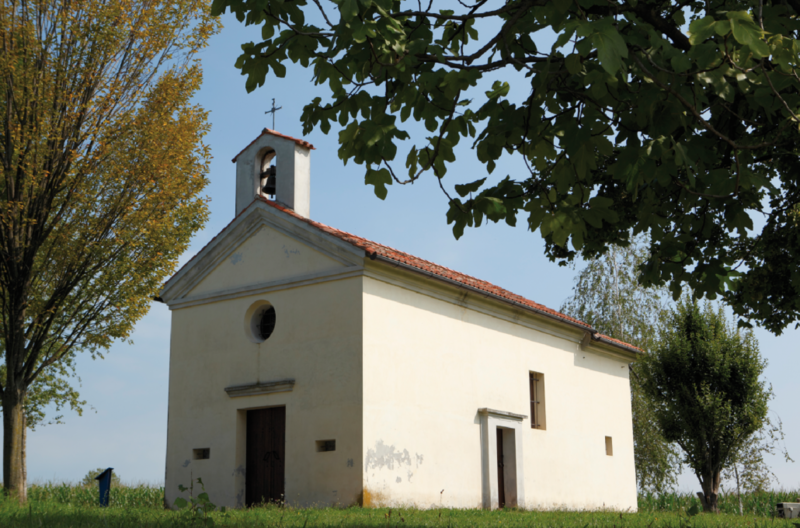 The Basalghelle monastery was served by the Church of SS Mauro and Macario, born in the XI century along Via dei Sali that lead from Portobuffolè to Cadore, a trading route for salt and cereals from Venice to central Europe. It is very small with just one nave and a beautiful wood roof, an intimate place of prayer and a safe refuge for the pilgrims and merchant caravans, who found hospitality and medical care in the adjacent buildings. Precise restoration work to both the building and its treasures has revealed some fascinating frescoes and the ancient splendour of the bronze bell with an engraving dedicated to the four evangelists, made by the De Poli Foundry in Vittorio Veneto.